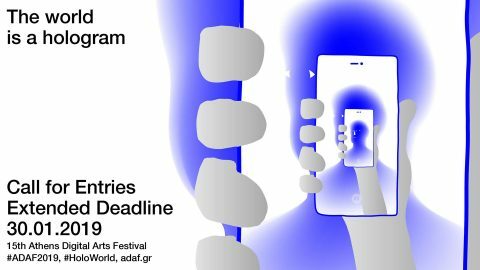 The International Festival of Digital Arts in Greece, Athens Digital Arts Festival is addressing an open call for its 15th and anniversary edition towards all artistic and scientific community. Artworks from the past, present, and future coming from the worlds of art science and technology are asked to co-exist in a festivity of digital culture, showing how everything is connected to each other like pieces of one undivided whole, while anything we perceive through our senses is nothing more than depictions of our ideas. Athens Digital Arts Festival this year follows the theme The World is a Hologram. The deadline is extended to the 30th of January, 2019!